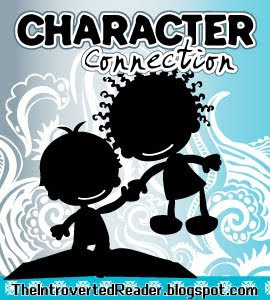 The Character Connection is hosted by JG every Thursday at The Introverted Reader. We all have characters we love. Let’s spotlight these fantastic creations! Whether you want to be friends with them or you have a full-blown crush on them, you know you love them and want everyone else to love them too! There are so many characters I love for a myriad of different reasons. I had some trouble picking out who I wanted to talk about first. Should I pick a man, woman, house elf, dog…what? I ended up just scrolling through my list of favorite books on Goodreads. I quickly came across the Amelia Peabody series and I knew I had a winner! How could I beat picking the almighty wielder of both a parasol and an outrageously witty personality? The nineteen book historical mystery series written by Elizabeth Peters is absolutely brilliant, I can’t rave about it enough. I love all the characters in it so much…I could probably have a month’s worth of character memes dedicated to the series. The first book, Crocodile on the Sandbank, opens with Amelia Peabody as a spinster daughter of an old reclusive scholar. He encouraged her studies, and the rest of the family (which includes several brothers) basically left them to rot. Because of that, upon her father’s death, Amelia is the sole beneficiary to his considerable fortune. Armed with a parasol and a big mouth, Amelia Peabody hits the road. She embarks on a tour of classical sites that she was inspired to visit due to her father’s books, and she ultimately reaches Egypt (where the majority of the series is set). She collects a few friends – and Emersons – along the way. What starts off as a seemingly innocent tour of Egyptian pyramids turns into a deadly mystery involving one of her companions. Now, even though this IS a mystery series, I have to tell you that they are some of the funniest books I have ever read. It is my favorite kind of funny…borderline spoofy. As the series continues, Amelia starts a family. They are based in England, but return to Egypt for archaeological expeditions year after year. Fun, calamity, and many torn shirts ensue. Now, even though I’m highlighting Amelia Peabody, I have to give a quick nod to another great Amelia-ish character. When one talks of Amelia Peabody, there is a new kid in town that bears mentioning. The glorious Alexia Tarabotti in the wonderfully orginal steampunk series The Parasol Protectorate by Gail Carriger. It starts with Soulless, and is so far comprised of three books. Alexia seems to be based very closely to Amelia’s character…sharp wit, parasol and all. So, although I can’t recommend taking a trip to Egypt with Amelia Peabody enough, I offer the alternative of a nice dirigible ride with Alexia Tarabotti. Either way, you will be sampling the best of the historical mystery genre (or at least the sharpest tongued).